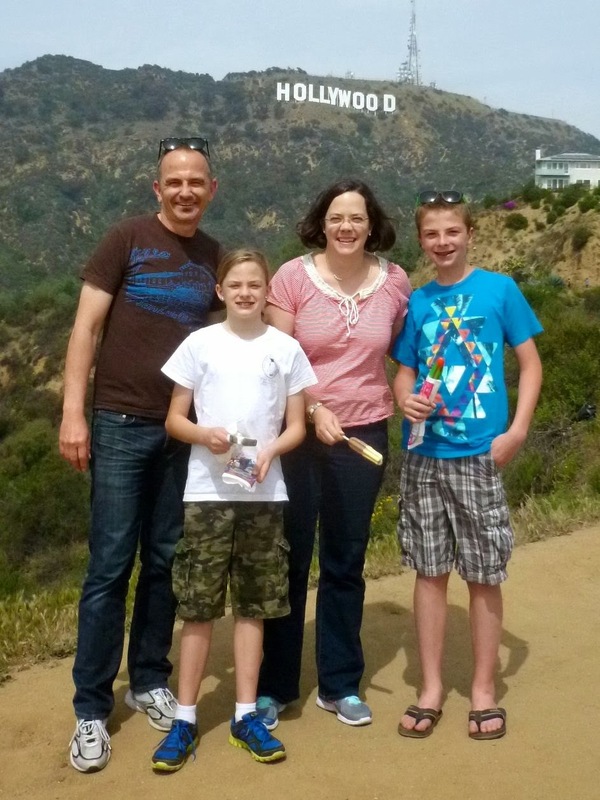 During Spring Break of last year (March 2013) my wife, kids and I spent three days back in L.A. on a little get away. First stop: the Brady Bunch house, and then the Los Angeles Zoo. 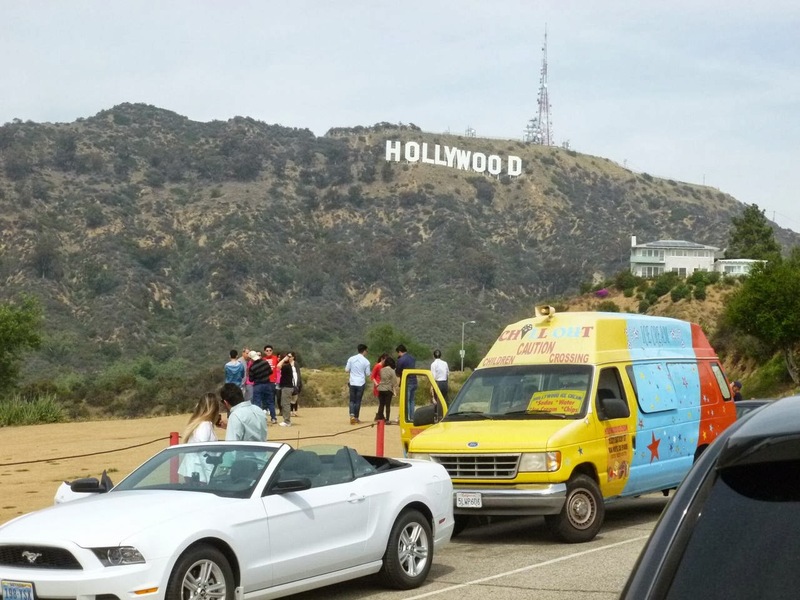 After the Zoo we headed over the hill - to see the Hollywood Sign. 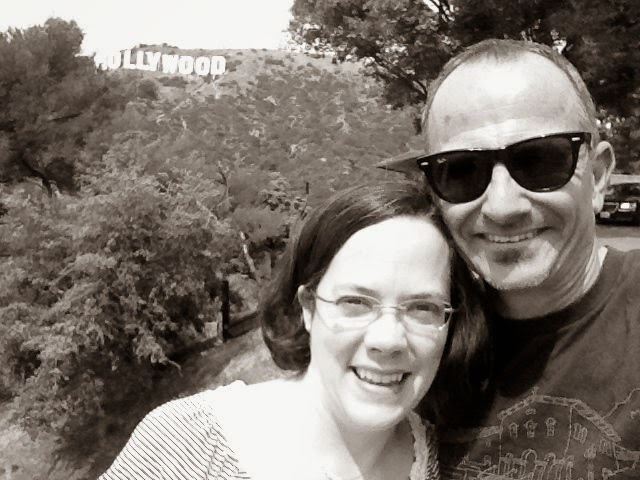 We were here san kids in 2011 - here's a link to a previous post with some more info on good places to see the Hollywood Sign. Yes, you can get fairly close. No, you can not hike to the top. Don't even think about it. Where's best place to see the sign up close? We suggest heading over to the intersection Mulholland & Canyon Lake Drive. 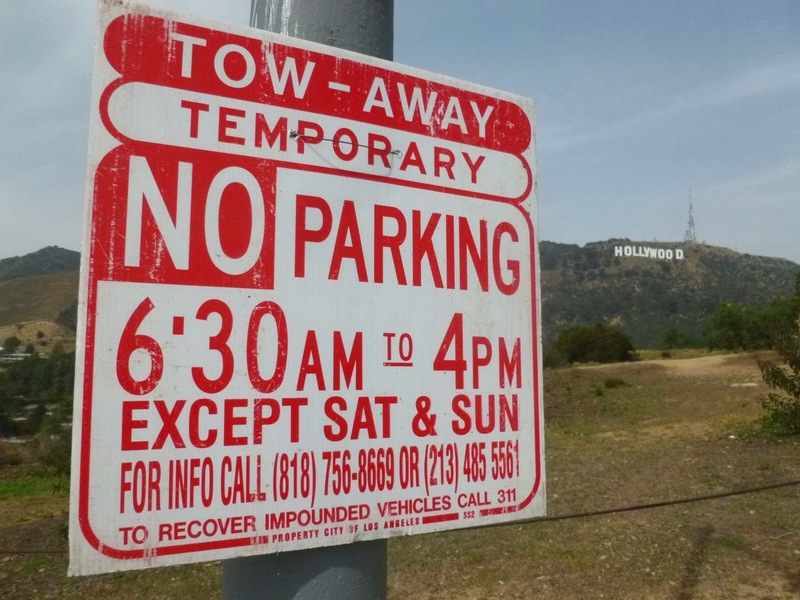 It's located about a quarter of a mile up the road from Lake Hollywood Park, there's plenty of parking (just curb your wheels) and there's a great view. 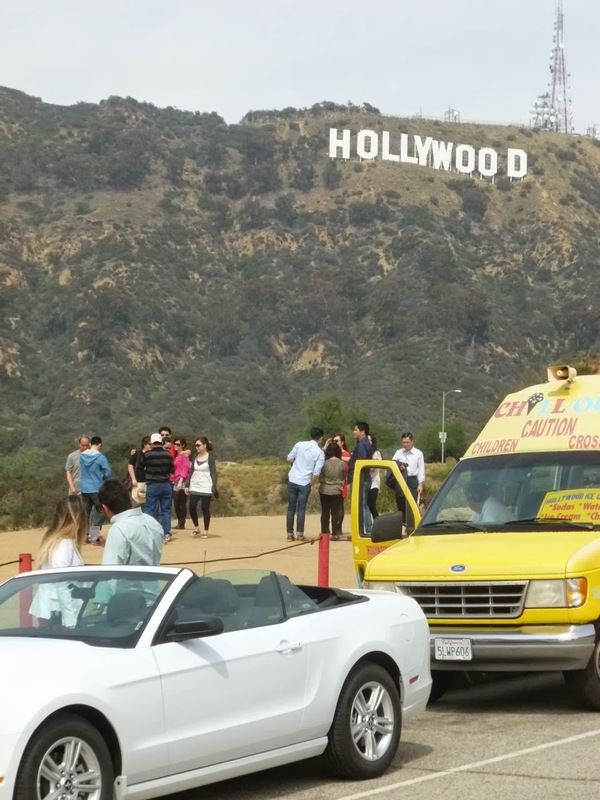 Lots of tourists - also a friendly ice cream vendor. People from out of town - and out of the country. 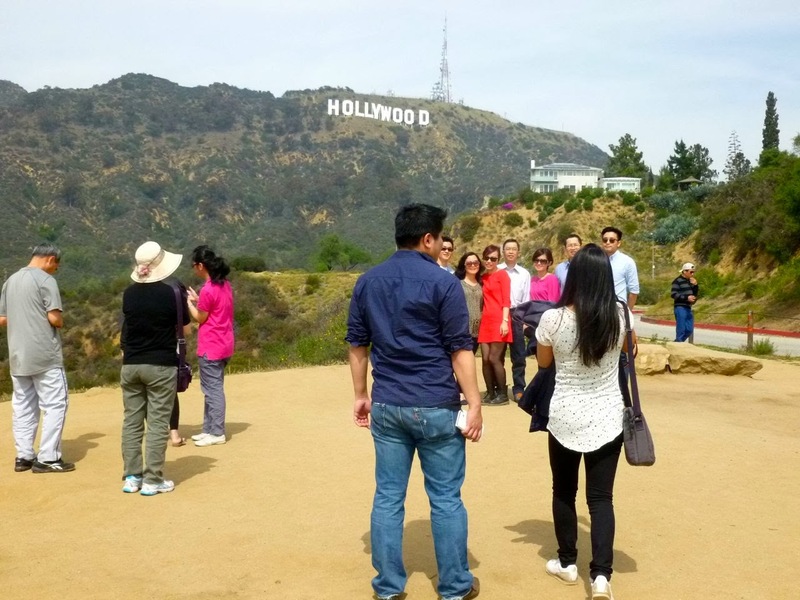 In addition to a great view of the Hollywood Sign, you can almost always find someone willing to take your photo - whether you and friend, or a group. 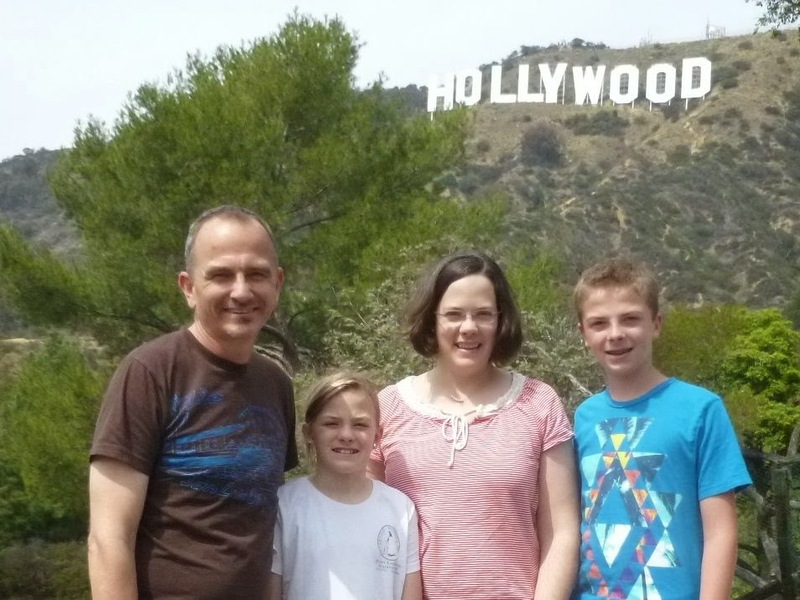 Although we lived in L.A. for five years, it wasn't until we were back on a little vacation that the four of us made it to the Hollywood Sign. Of course, you can see it for miles, including from the Santa Monica Freeway. So we saw it hundreds of times over the years. But we never tried to get up close for a photo. Not sure about these "no parking" signs. Are these legit? Maybe. Or were they just put up by frustrated local residents trying to cut down on the number of people driving up/parking to see the sign. If you do drive up, please be courteous as you go though the residential neighborhoods: keep your radio down (or off), don't drive too fast - or too slow. Treat others like you'd want to be treated, right? 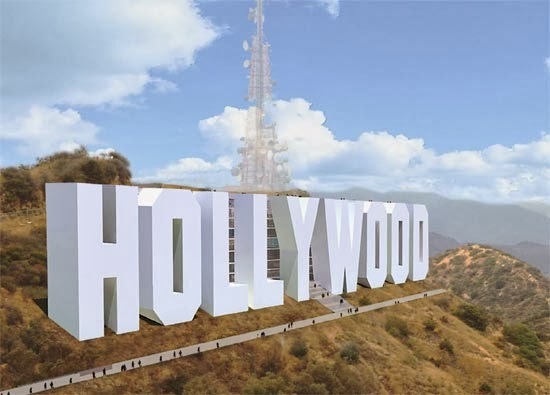 Speaking of the Hollywood Sign, here's something that - unfortunately - will never make it beyond the dream stage: Danish architect Christian Bay-Jørgensen's proposal to double the size of the sign and replace the 2 dimensional sign with a 3 dimensional 308 room hotel - designed to look exactly like the current Hollywood Sign. Here's a link with a few more images. Yes, it looks awesome. No, it will probably never get off the ground. 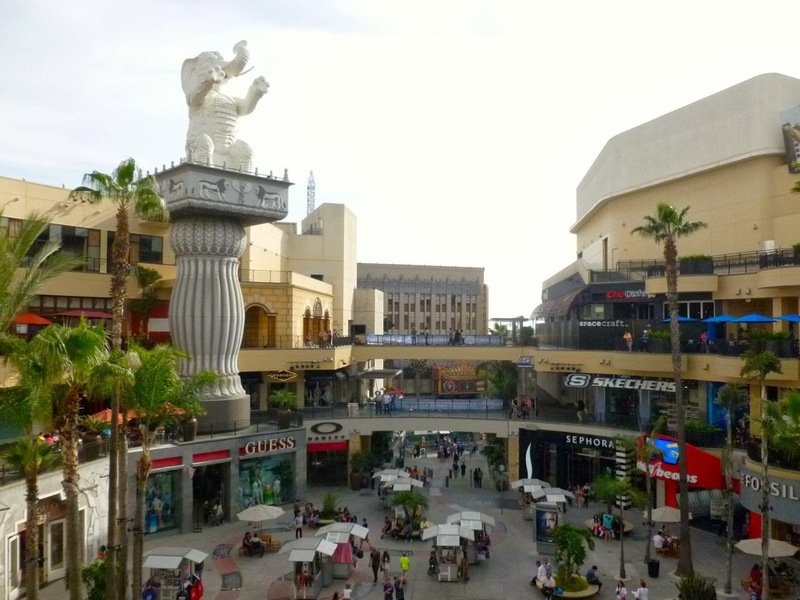 After our drive in the hills, we headed down to see the Hollywood & Highland shopping complex. 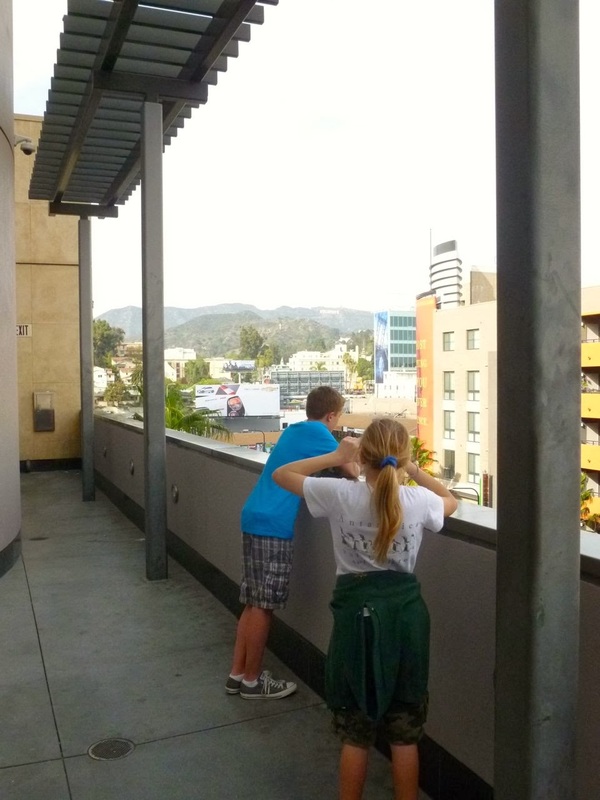 It's another place to get a good view of the Hollywood Sign. The Hollywood & Highland complex opened up in 2001. Parts of the complex, including the massive elephant statues, are designed to look like the set of the 1916 film Intolerance. Here's a link to a previous post with some additional information and photos. 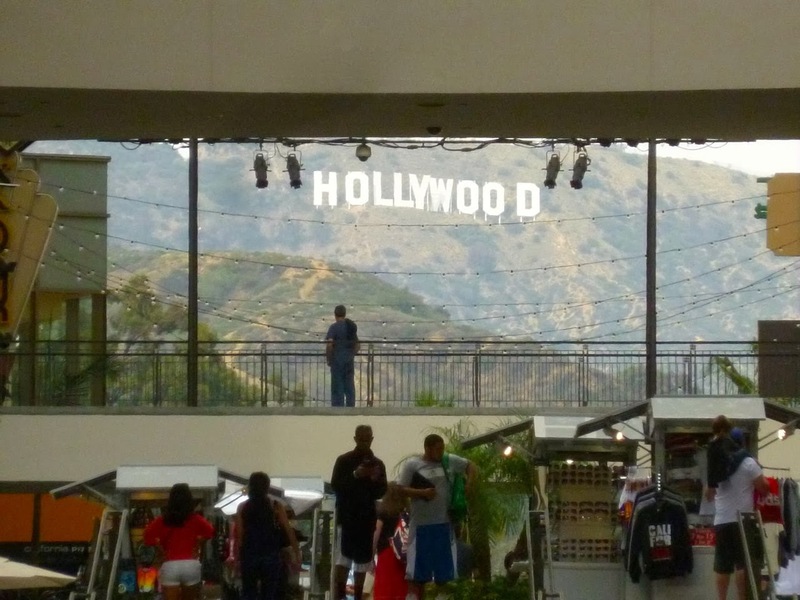 If you want to get a photo of the Hollywood Sign skip the often crowded view from the center sky bridges. Instead, go over the upper level on the east side of the complex. There spacious open deck is great. Very uncrowded and you a much better place to take photos. 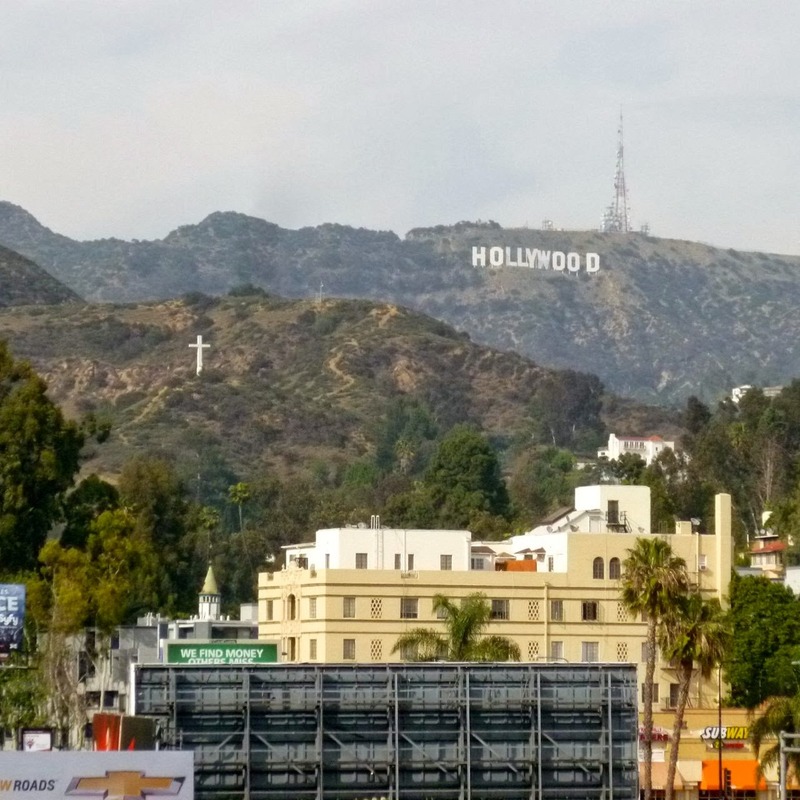 In additional to the Hollywood Sign, you'll also have a great view of Highland Avenue below. 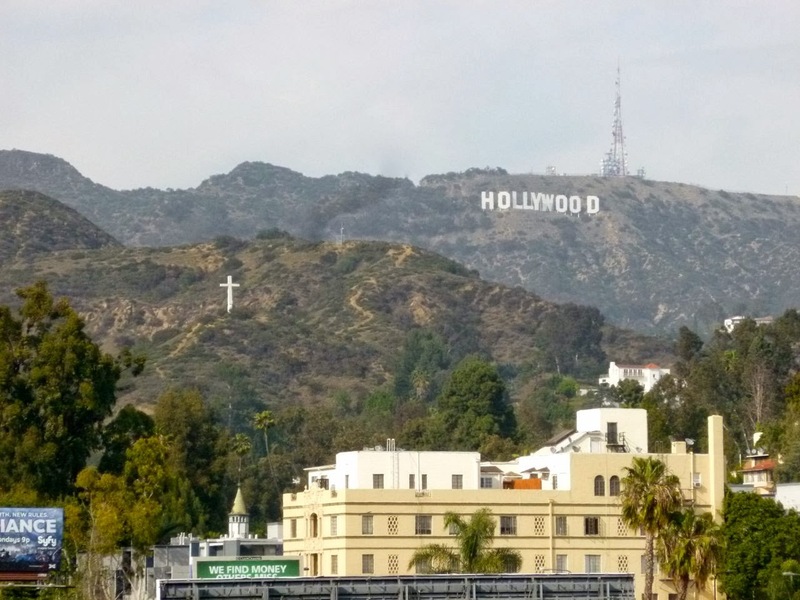 Another view: the Hollywood Sign and the Hollywood Cross. Ah, the Hollywood Cross. The center of controversy a few years back. 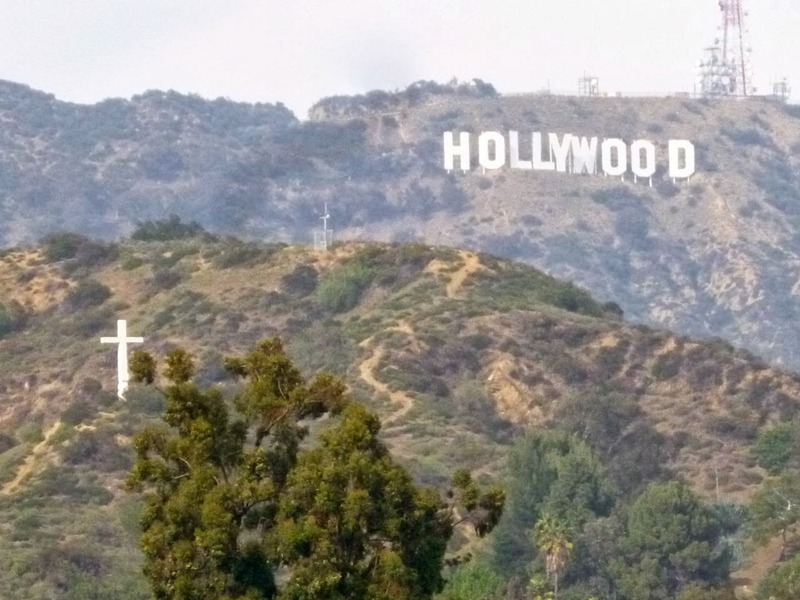 The Hollywood Cross itself is located on private property overlooking the Cahuenga Pass. And unlike the Hollywood Sign, the 34 foot Cross is lit at night. It purposely located so as to be seen from inside the Hollywood Bowl during their annual Easter Service. 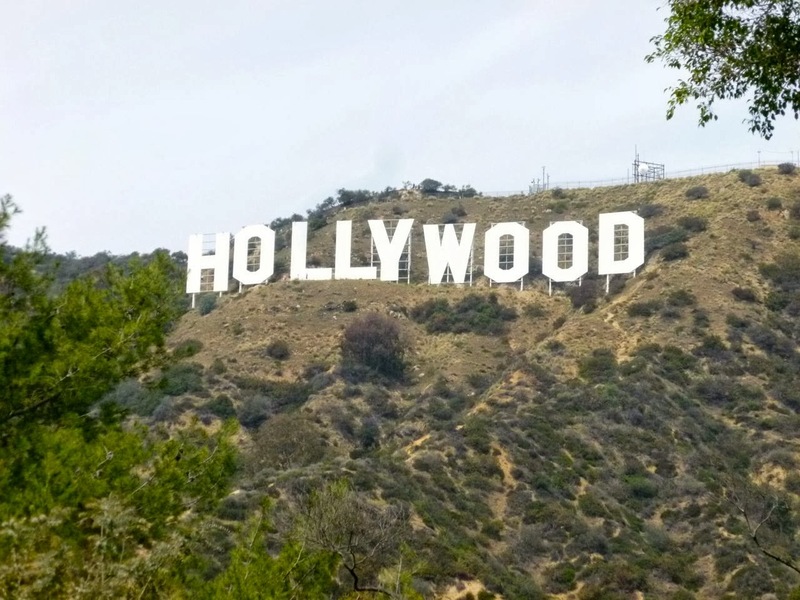 Here's a link to a L.A. Times article on the history and backstory of this famous landmark. 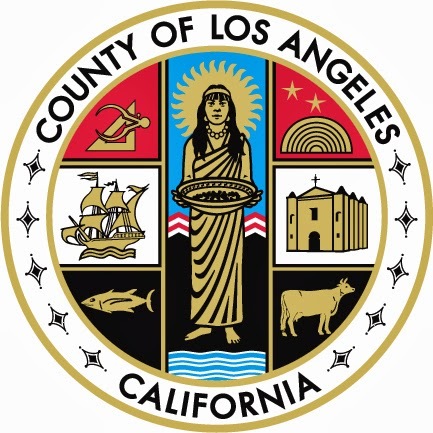 From 1957 to 2004 the Los Angeles County Seal included a cross. But not just any cross. The Hollywood Cross. The seal had a representation of the Hollywood Bowl, two stars, and the Cross. (As an aside, the old seal also featured a HUGE image of Pomona, the pagan goddess of fertility). 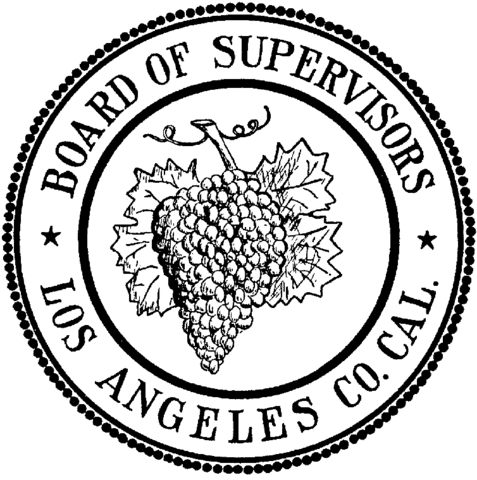 After being threatened with a lawsuit by our friends over at the ACLU, the County Supervisors voted to redesign the Seal. The new seal replaced the pagan goddess Pomona with a Native American woman, moved the Hollywood Bowl, ditched the Cross, and replaced the oil derricks with the San Gabriel Mission - conveniently leaving the Cross off the image of the building (and, unfortunately, making the Mission look like a self storage facility). Earlier this year, the Supervisors again voted. The Hollywood Bowl Cross is not and will not be coming back to the County Seal. Apparently however, a small cross - which is part of the architecture of the San Gabriel Mission - will be put back in. A final image looking north up Highland Avenue: the Hollywood Sign, the Hollywood Cross, and a bit of the chaos that is Hollywood itself. 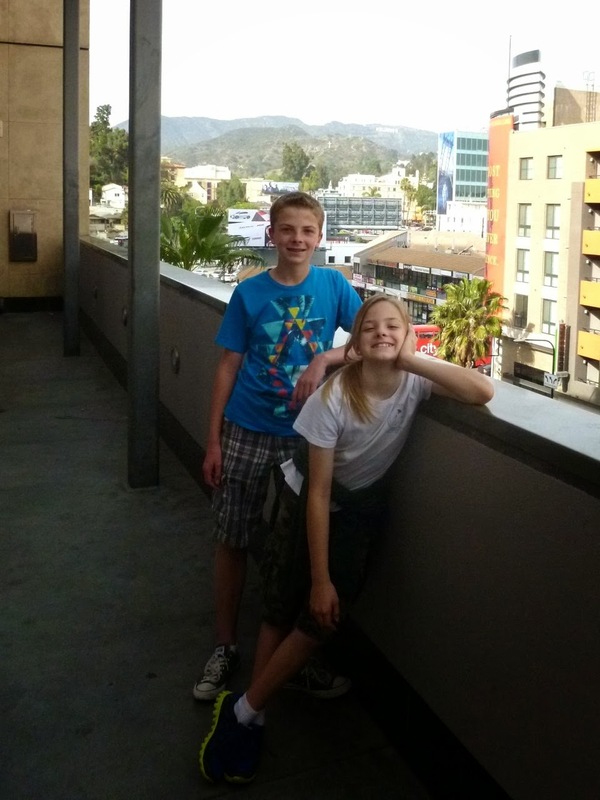 More next time in Part 4 of our family's L.A. get away: Grauman's Chinese, the Pig 'N Whistle, and the El Capitan. 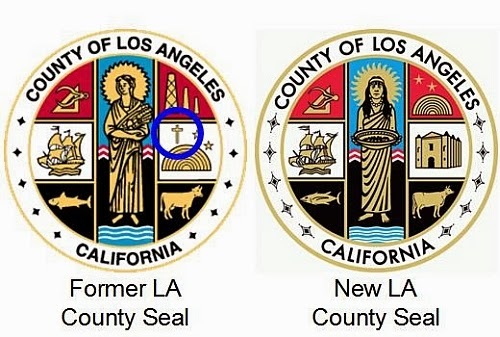 Interesting stuff about the L.A. county seal!